We are consistently on hand for our customers with our trucks. Our fleet consists of a considerable number of small transporters, tractor-trailers and curtain-sider trailers, all with the most up to date standard of the loading technology. Of course, every year we put our complete fleet through a full checkup and certification. 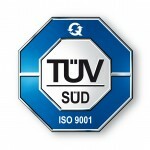 This way we are able to offer the highest safety standard for people, machines and goods. Moreover, our experienced drivers regularly participate in training so that they are always able to grant you the highest quality service. Thanks to the GPRS Tracking System our vehicles location can be pinpointed around the clock. Our specialised software was further developed, to directly allow us to respond more efficiently to individual wishes. With both these systems we are able to truly optimise our operations so to grant our customers the ultimate smooth handling experience of all transport logistics.